If I may say so I'm a pretty good baker, certainly not Great British Bake Off standards but I can follow a recipe and create something that looks and tastes good. What I don't like is the washing up that follows and my waistline fears the gluttonous behaviour that can follow should there be a plate of cupcakes sitting in my kitchen. Even if I get around the washing up issues and perhaps treat myself to a sweet treat from the supermarket they often come in multipacks. If I want a brownie its a box packed with them that should last days and I'm lucky if it last hours and so on it goes. Even if the mood strikes me and I am able to pick up 'just one' sweet treat on my way home what about when I'm unprepared for when my sweet tooth strikes? Who remembers the Microwave Mug Cake phase? A few ingredients that everyone should have in the cupboards thrown together, popped in the microwave for a matter of minutes and viola. 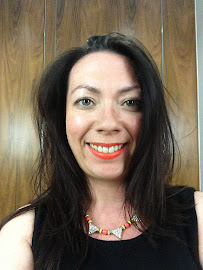 I jumped on this bandwagon but the reality is my cupboards are often bare and I am unable to cobble together what is needed and I rarely have eggs to hand. Thankfully Dr Oetker* got in touch as they have come up with perfect solution for a single girl like me whose fridge contains little more than wine chilling on day to day basis. 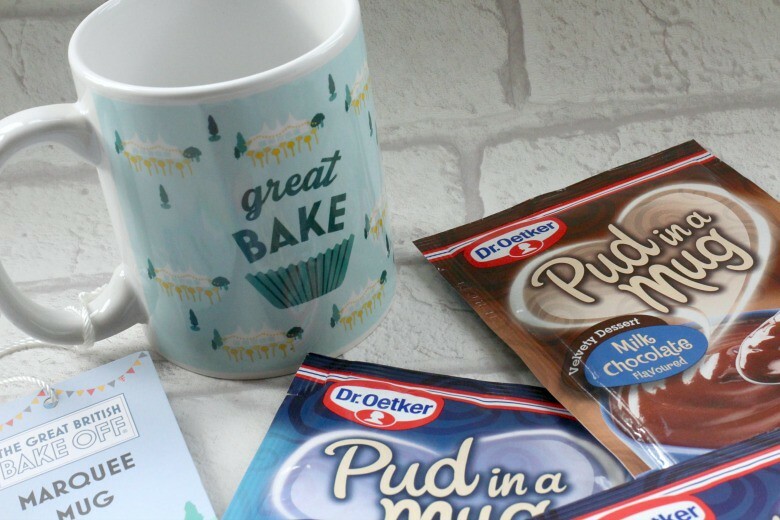 Dr Oetker have created three Sponge Puds, Rich Chocolate, Chocolate Chip and Lemon, that cook in a mug, popped inside the microwave for about a minute or so. Powdered sachets that all you need to do is add milk to. This was the best bit for me. I always have milk in the fridge so it's even better than those speedy mug cake recipes you can google in seconds. You simply pour the sachet into your chosen mug, in my case the Great Bake Mug* which is part of the Great British Bake Off range available at Debenhams, ironic choice don't you think? Next add four tbsps of milk, stir till it's smooth and then 'bake' in your microwave. Depending on your cake preferences you can cook for approx one minute to have a 'sauce' of sorts at the bottom or a little longer to cook through. I eat straight out of the mug (less washing up of course) but you can see it coming away from the mug so it may be possible to tip into a bowl if you were trying to impress someone with your home baking. Of course this isn't the most decadent chocolate pud or lemon sponge you're going to eat but it's handy in a pinch and I will be purchasing more to have in the cupboards for 'emergencies'. Anything with a long shelf life works for me which these have. They're also perfect for young children who can watch the pud cook and grow in the microwave without going near hot ovens. Be warned the mug is of course hot when you remove it from the oven but it cools quickly and I'd recommended what I refer to as a more traditional mug, nothing too wide mouth otherwise the pud will look a little sad. Do you fancy trying these out or are you a baking purist?